Did someone say, "fish sticks?" modernize your fish dish with this border busting bomb shell. Use your smaller cuts to create a new dish on your menu. 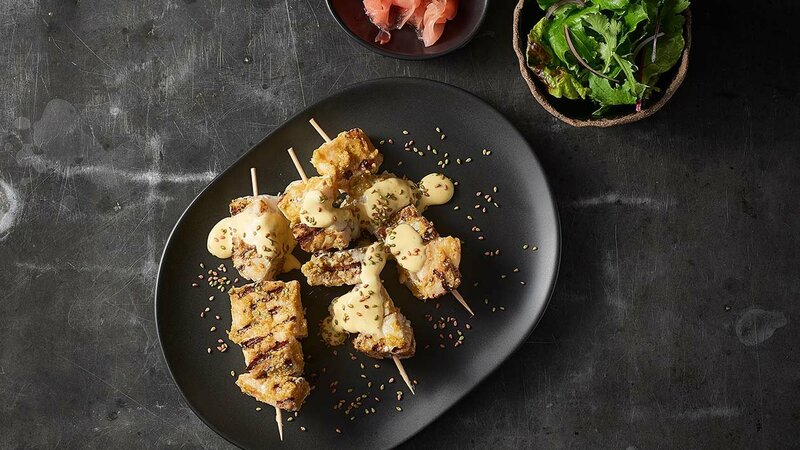 Rub king fish with KNORR Thai Green Curry Paste and slide onto skewers. Mix kaffir lime leaf, KNORR Garde d’Or Hollandaise and KNORR Concentrated Liquid Stock. Roast sesame seeds, pickled ginger, mixed lettuce and Spanish onion.